Hey Fellow Saleen Owners! Recently Purchased a rebuild kit for my Series 6 Supercharger and am in the process of removing the rear needle bearings. It looks like they might be closed Back factory bearings? 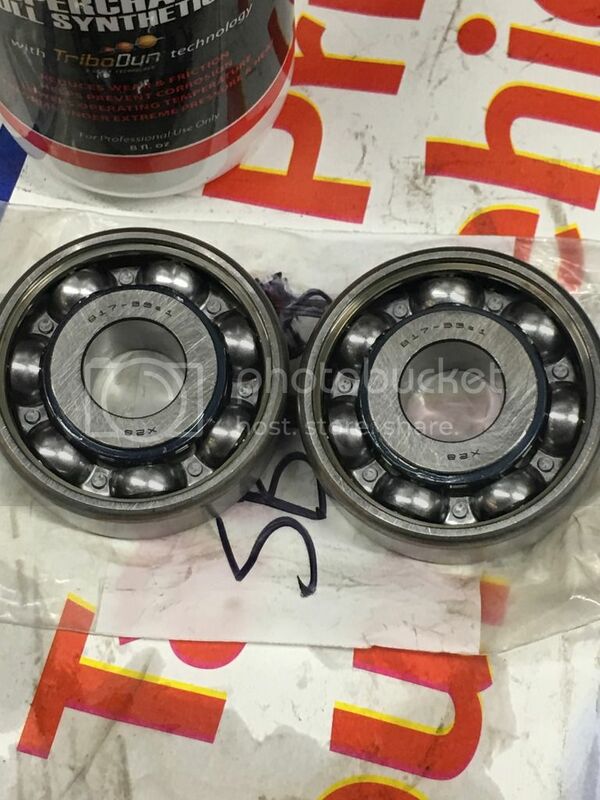 I removed the 2 Plugs behind the bearings in the housing but im afraid to press to0 hard on the back of the bearings if its not part of it. 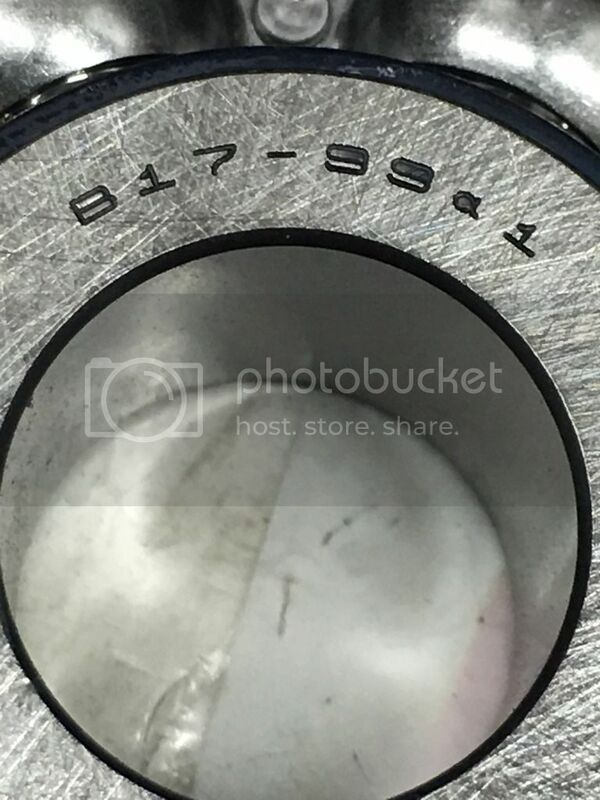 The replacement bearings in the picture look like open back bearings. Tried using a Blind Hole slide hammer puller but no luck. Do these just press out from the back? Thank you for any help! No you can't knock it out from rear. Took me awhile to work it out. I also made a special tool to press the new bearing in. Thank you for the reply I appreciate the info and the help! Nobody ive called will help with anything unless I have them do the whole supercharger. I’m stuck with the rebuild kit so I have no choice. I have pretty much that same collet puller but not the long screw shaft just a slide hammmer. I guess I’ll try to make something like that thank you! Looked like I could press them out after popping out those plugs. Glad I didn’t. 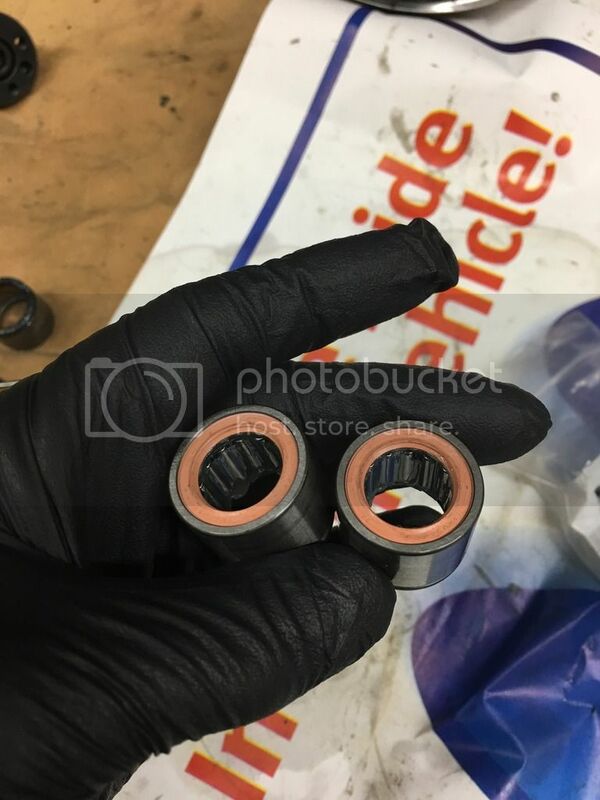 Did you also replace your rotor pack bearings? Thanks again for your time it’s greatly appreciated! I have wanted to pull this to pieces for sometime, you gave me the inspiration. Not easy especially not damaging rotor pack or gears....but possible with right equipment. Next the 12 point nuts holding the gears to rotors these are loctited on so a little heat may be needed. I managed to get one with no heat. Thankfully I have a hydraulic 2 leg puller which I was able to get large gear off rotor. Then pushed the rotor out. That then enabled me to get the other gear off rotor using hydraulic press. Then pushed that rotor out of housing. I marked the housing with a 3 making sure the 3 vane rotor went back into the correct position. Last edited by lenko; 4 Weeks Ago at 10:57 AM. Last edited by Saleen206; 4 Weeks Ago at 03:03 AM. Lenko, thank you for the comment and advice! Unfortunately I already tried to remove one so I have to replace them now. My car has 105k so Its probably not a bad Idea to change them anyway. I think I know how to get them out now I just need to fab up the puller. Thanks for helping! I bought a two armed puller and had to grind some of the claws thinner to get it behind the bearing cage to press them in. It's important to get offsetting pressure so you don't put any stress on the cage or the tiny arms so they don't crack or break. "Where there's a will there's a way." Good luck. Here's what I used to press the bearings in. You can see where I ground the arms off so they would go behind the bearing cage to enable pressing the bearings in. You can use a suitable socket on the bearing to push it in and countersink it a bit. I think it calls for .07 thou, but that's hard to get perfect. Oh! and I cut the ends of the H-bar at the top so it will go in the case screw cavities without hitting the walls. I think you were looking for a 6.5 case, I think I was the one who outbid you last year. There was a problem with that case the lower needle bearing holes were not finished actually 1mm too small. I have it an engineering shop to rectify. Not sure how many 6.5 cases were ever made I expect not many. I have a 6.5 lid on my race car and Extreme. Also the 6.5 water crossover with thermostat housing on all 4 of my supercharged Saleens. It is a shame Saleen did keep producing these parts. Makes me feel better that I did not win that bid. In any event I was able to assure myself that mine would not cause me problems as I installed the two support bolts and it been running great ever since. I am now entirely confident in my unit and stopped looking for a case last year after I made the correction. I do however like the idea of the 6.5 case as in some ways it would be easier to handle and work on. Just last week, the short rubber hose to the crossover started to leak so off came the charger and the hose replaced. I can probably take the S/C off in my sleep. So easy to work on. 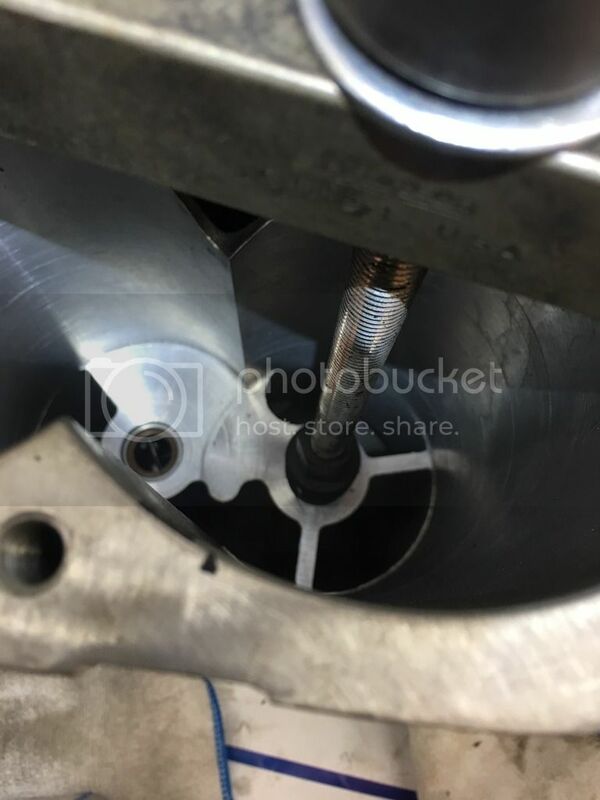 So, I successfully installed the rear needle bearings using advice from the previous posts thank you! I removed them with a blind hole expanding collet puller piece attached to a threaded rod cut to fit the length of the case I got at Home Depot. Put the rod through a brace from another puller I had and treaded a nut and washer onto it. They came out no problem. Note that I measured the bearings were originally installed about 1mm below the top of the bore. They can go deeper. I re installed them at that depth. I used a hydraulic press and some sockets/extensions and lightly lubed the bearings. Long story short, it was very easy and not at all as scary as it seems if you just go slow and are careful. However now I do have a loud knocking noise from the blower and what feels like excessive lash or play back and forth if I spin the snout side to side. It clunks. I’m guessing it must be the rotor pack bearings. Everything else is new. I did install a new coupler supplied by Jon Bond Performance but it sounds more then that. Maybe I’ll try try the original. Do these have any lash in the gears? And does anyone know the spec for the rotor clearance from rotor to front bearing plate? I guess I’m going to have to try and do them. Gonna take it apart and re inspect it. Maybe post some videos to YouTube. Thank you for your help! Last edited by Saleen206; 3 Weeks Ago at 03:43 PM. Very Good information in this thread. So I removed the supercharger today and inspected it for any new damage or signs of wear and could not find any! It still rattled/knocks/grinds every now and then. I posted some videos to YouTube if anybody has time to check them out and give me your opinion of the cause of the noise I would be very appreciative! I did replace the rear bearings and rebuilt the snout but not the rotor pack bearings. I do have them though. I mean that’s all that’s left to replace besides gears right? I measured .008 on the clearances from both front rotors to front bearing plate. 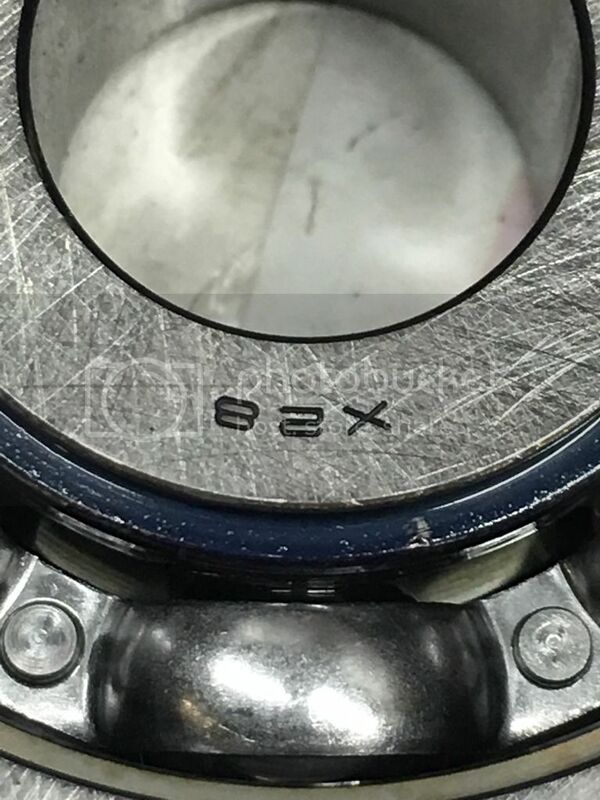 Is this bad rotor pack bearings? Or excessive drive gear lash? Thank you! Some of that sound is what's called rotor clash. I have that too but I don't have that clacking and that other noise when you rotate your pulley by hand (mine is smooth) I don't recall the play in those gears, but when I rotated the screws everything seemed tight. Like rear end gears, I would think there has to be some play (backlash) but how much, don't know. Were you able to get that center bolt in the nose tight when you assembled it? Stage 3 530 HP Brenspeed, Comp Cams VSR 127300, 410s. I think so too. The more information we share the better. Companies repairing superchargers are pretty tight lipped for their own reasons. We shouldn't have to send our chargers away for some repairs which aren't that complicated. Very costly and time consuming. By sharing we can avoid some pitfalls and save some $. Looks like it is definitely your gear back lash. Just took belt off my race car and there absolutely no back lash noticeable. Also checked those gears I pulled of rotors last week and the mesh is really tight. I would say your problem started when the supercharger run out of oil and has worn the teeth of the gears. Also it would be a good time to replace those front rotor bearings as they are probably not in a good condition either as they are also lubricated from the oil. Try Jon Bond maybe they can supply new gears. Cheers mate, it is nothing you have done. Ok, first I want to say thank you to the few who have taken the time to help me especially Aussie-Parnelli and Lenko! After careful inspection I also agree that it looks like I smoked the drive gears when the fluid went dry. 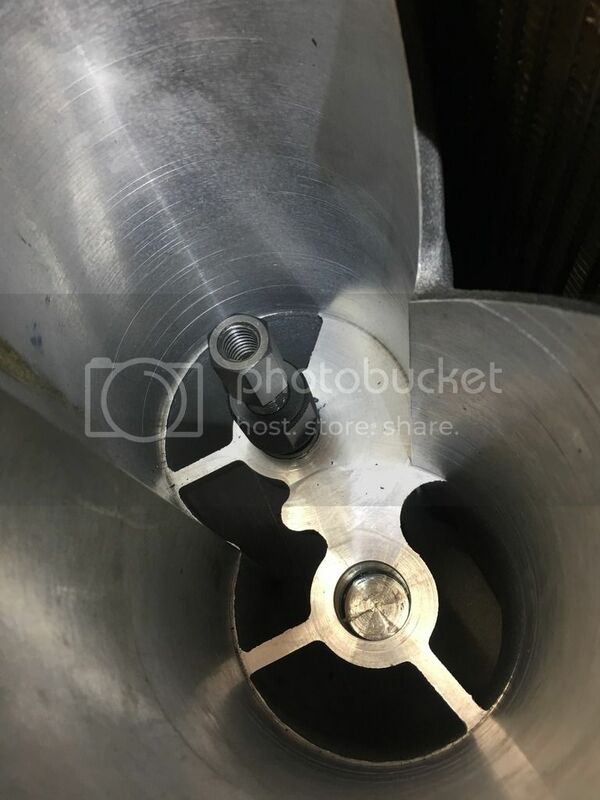 Its still possible that the Rotor Pack gears are causing backlash but from what I can tell they do not have any play in them. I've called around and found that the only place that seems to have extra parts is Jon Bond. Of course I need to send the whole thing in to get new gears or whatever they deem it needs. I was told he bought all the stock in parts. Im sure they will put me through the ringer with everything. Anyways since I have not found a good article on replacing the rotor bearings and I can't get replacement gears it looks like im sending it in when I have 4k for a rebuild. That's what PSE quoted me for worst case when I spoke to him. he also said he would send it back in pieces if I declined or I could just let him keep it... ha ha umm No. plus a $150 inspection fee and $250 each way for shipping. Thanks again to all who helped me and I hope something was learned with the rear bearings here! Hopefully ill have it running again this year! That is a bummer, I bought quite a bit of stuff when Saleen was auctioned off. A crowd in Tennessee ended up with most of it then put it up on Ebay. It was cheap compared to what Saleen was selling it previously but then I had to ship it to Australia which isn't cheap anymore, so that limited what I bought. Just a thought why don't you go to a good engineering shop in your location and find out how much to manufacture the gears for you. With CNC machines it is a lot easier these days to reproduce parts. I am seeing my engineer in a few days I will take my spare ones down as they are out and ask him to quote, to see if it is feasible may be another option. As I said in my earlier post check around with some gear manufacturers or good engineering shops. Guys, everything I'm about to say is whole hearted with the best of intentions to genuinely INFORM, not bash. I am a Saleen owner, heavily involved in the Saleen world and have been for 22 years. In looking at your photo's I was cringing because everything your showing people was not an "ideal" way of doing things. Your tools were mostly all wrong. 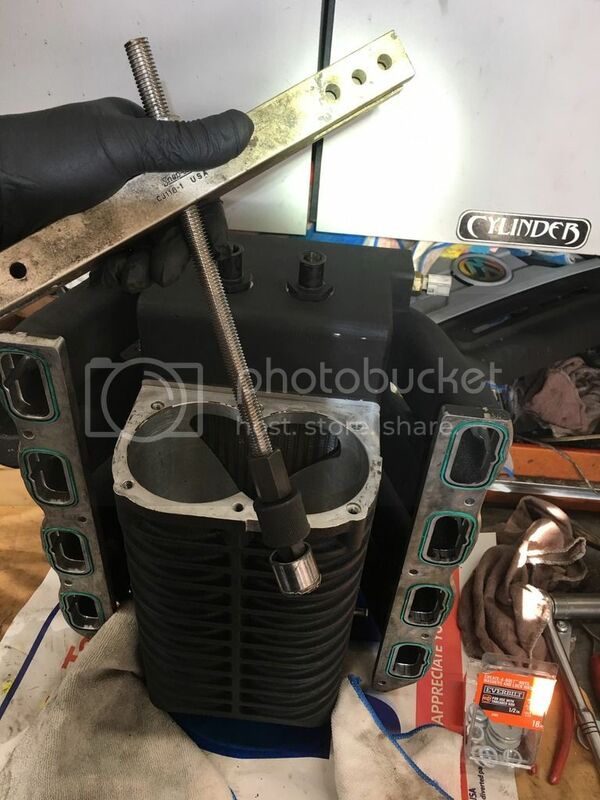 Its one thing to take the risk on and possibly damage your own supercharger which I know what you did wrong with yours, but its another to have people think this is something that can be done with basic tools. The tooling we have built has been either CNC'd, laser cut, and then with precision built. This has costed us some number well over $10,000 to properly work on these superchargers. 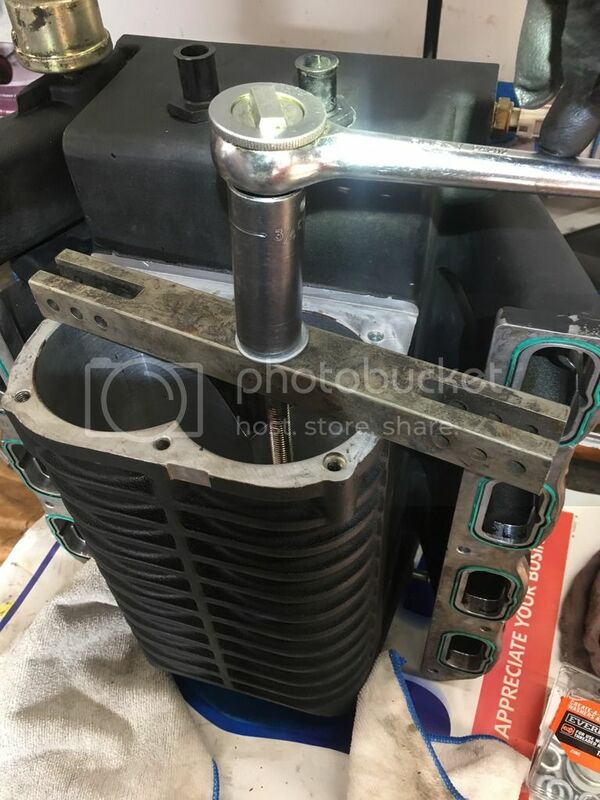 Showing people to use a blind bearing puller to remove the bearings is going to cost someone to destroy their supercharger. Pressing them in with a press without the right tooling also poses the same massive potential of breaking the bearing plate. 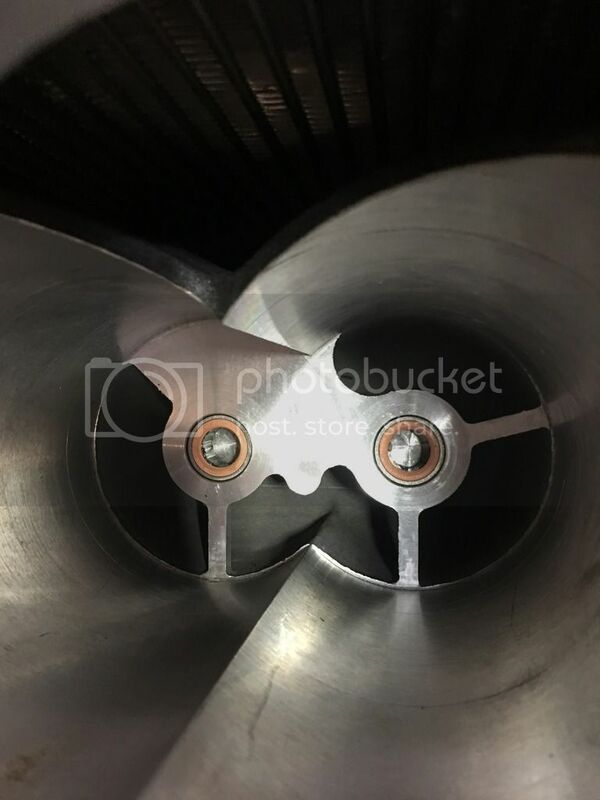 I certainly can appreciate doing things yourself and avoid giving a shop your money, but somethings should be left to a shop that has those tools thus saving a headache and lots more cost. 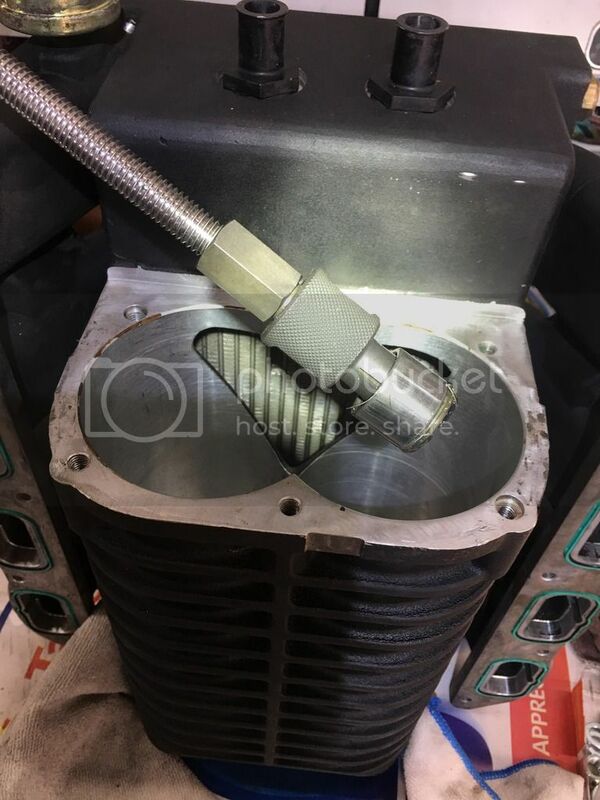 If you would like, I will be more than happy to discuss with you on the phone what I believe is wrong with your supercharger and help you get it back up and running. My advise would be to not run the supercharger anymore based upon what you've said. Last edited by Jason @ 281m; 1 Week Ago at 01:59 PM.